One of the most frequent tasks for modern business people is to check email. This makes email a very important method for marketing and promotion. However, email marketing can be treading on thin ice and must be properly managed to avoid the dreaded junk mail folder. Avoid blasting emails without a target audience – make sure you have a clear understanding of your target audience and refine your email list so that only addresses that meet your target audience criteria are used. Offer a subscription service – make it very easy for visitors to subscribe to your email list via your web site, Facebook, Twitter, LinkedIn and other sites. Likewise, have a very easy opt-out capability that is clearly communicated with every email. Encourage referrals – offer your existing customers and email lists the ability to refer others to join the subscription services. Manage frequency – multiple emails every day can become an annoyance. Get to know your email audience and look at how they respond to emails. If you get a better opening rate in the morning, send at that time instead of late night. If Tuesdays work better than Fridays, use that. Watch your style – try different email approaches to determine what works best. Sales or contests might be a great approach, but in other cases you may want to try educational information, industry updates, or announcing new products. Content is king – no matter what type of email you send, make sure you leverage SEO properly and always include links back to your web site for more information. 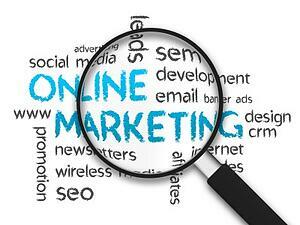 This will increase your visitor traffic with qualified leads and help your search engine rankings. An experienced email marketing provider can guide you through the proper steps to make your email campaigns a huge success and avoid falling into the junk email folder. For more information please call us directly or click the button below and we will contact you. Thank you. New Yorkers are notoriously busy. Emails have become one of the more preferred methods of communication for harried NYC customers and clients. In just a few moments when they check emails, issues can be addressed, questions answered, and new opportunities discovered. Email marketing in NYC requires a special formula that is designed for the hectic lifestyle of a busy city. What are some ways to get the attention of people who stay so hurried throughout the day? To the point content – the content of your email should have some specific categories and subjects that target your specific audience. If you are looking for buyers of men’s watches, make sure the content uses phrases and brand names of men’s watches that will attract specific customers. Graphics – images and graphics can be great to attract customers, but be conservative on your use because not everyone will have optimal internal download speeds. A hurried reader will not wait for your amazing graphics to load. Links – embed links to your web site and deep links to specific product pages where possible. This will help a busy reader to click and make a purchase much faster. SEO – all of your email marketing should include SEO keywords and phrases so that your search rankings will improve and also attract qualified leads. Seldon Marketing has a substantial amount of experience with NYC customers including retail and B2B. For more information please call us directly or click the button below and we will contact you. Thank you.